Coming up with the perfect proposal is no easy task. Most blokes, and yes we’re assuming it’s men who still do most of the asking in 2015, do not have the Kanye West levels of fame and money to rent out entire baseball stadiums complete with pyrotechnics and a 90-piece orchestra in order to pop the question. Not that the majority of women are after those levels of opulence, but a bit of time and effort would be nice wouldn’t it? Step forward Imgur user Justin who created the most beautiful and unique proposal we’ve seen in a long time. 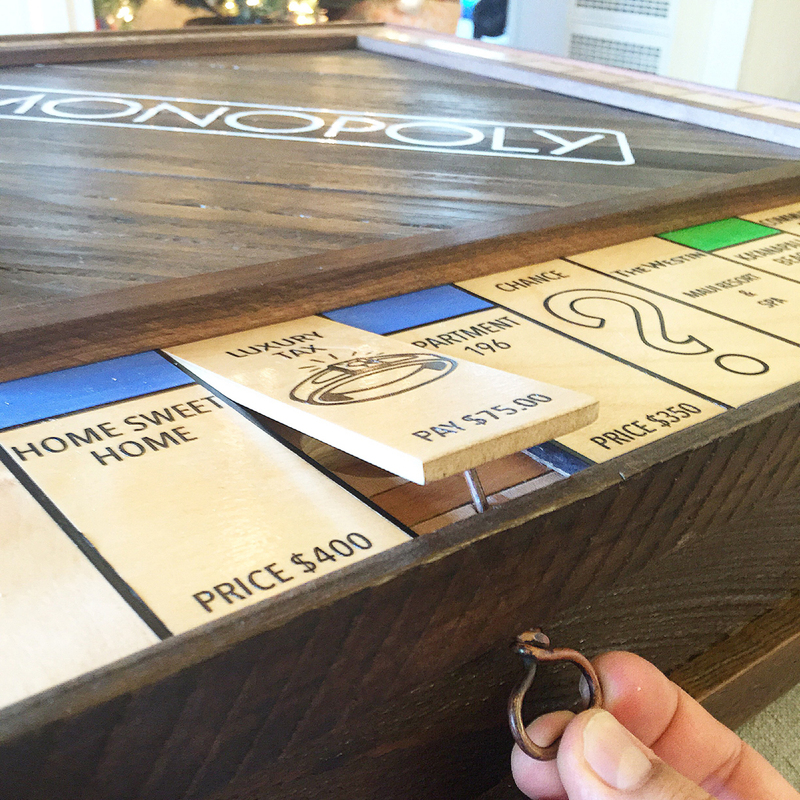 Justin decided to surprise his then-girlfriend Michal on Christmas morning with a personalised, totally one-of-a-kind Monopoly board – her favourite game. Each of the 26 properties and stations on the board were important milestones in the couple’s three-year relationship – from the street where they had their first apartment together to Match.com where they met. Justin worked with a friend of his to create the beautiful redwood box that would house the game and spent hours creating his own Chance, Community Chest and Utility cards. 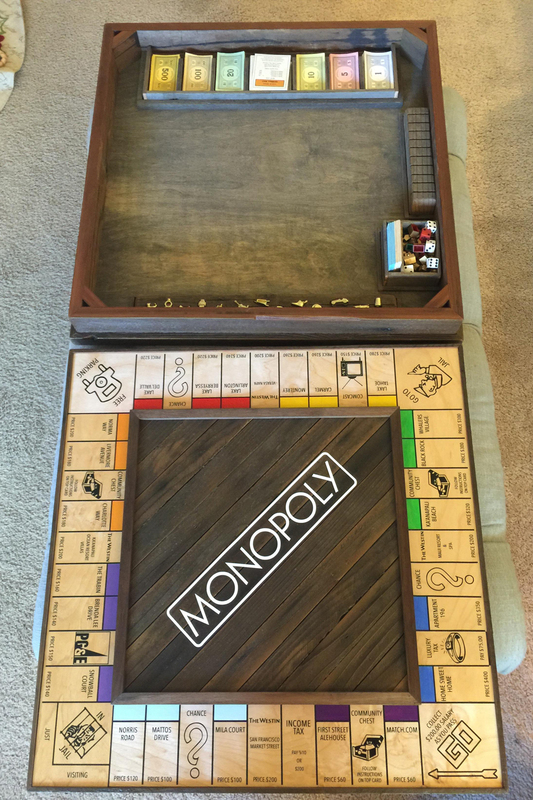 He presented Michal with the gorgeous game on Christmas morning last year and she was moved to tears by all of the tiny details Justin had thought of. ‘That’s where I put the “Will you marry me card”’, Justin revealed. Justin proceeded to get down on one knee, pour his heart out and produced from his pocket…a wire key. 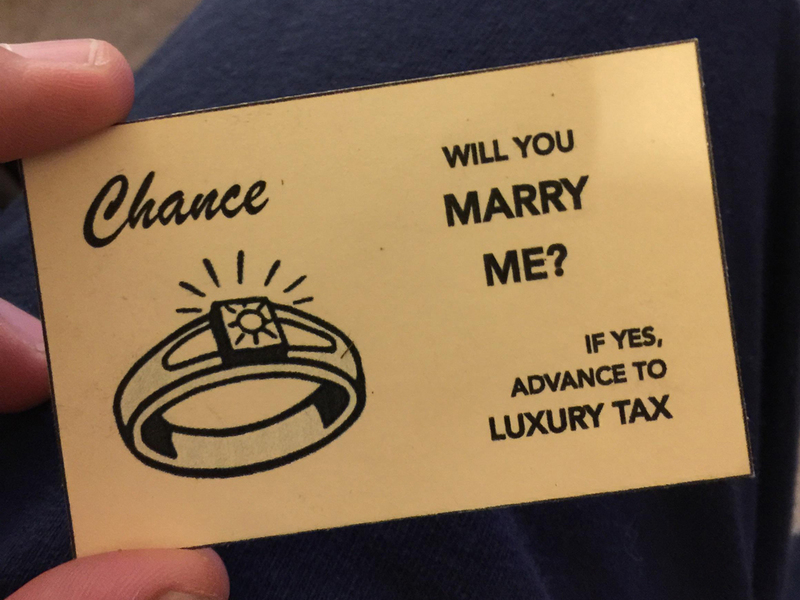 He showed Michal the trap door underneath the Luxury Tax spot, she opened it and found a beautiful diamond engagement ring. Seriously, if there’s a more thoughtful (and re-useable) proposal than this we haven’t heard it. Congratulations Justin and Michal!